If you like it, please share this page on Facebook and Twitter. I'd like to know how it is used, so if you want to leave a feedback or a suggestion for the development of this plugin let me know. 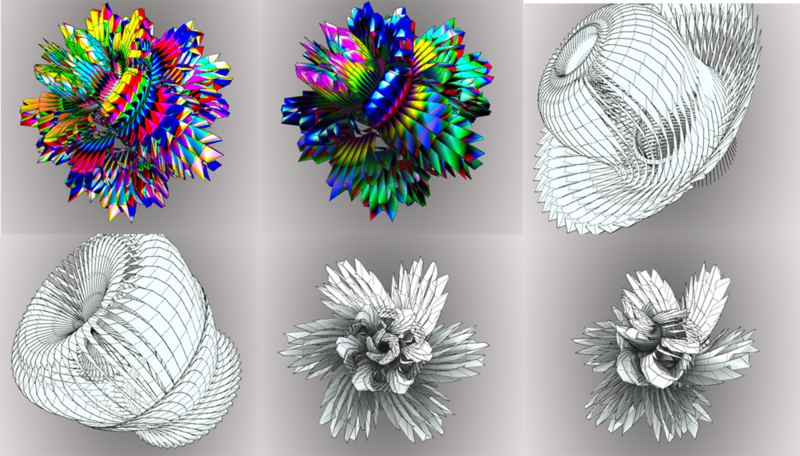 Vertices, normals and texture coordinates are calculated every time you change the parameters for the resolution of the sphere or its opening. 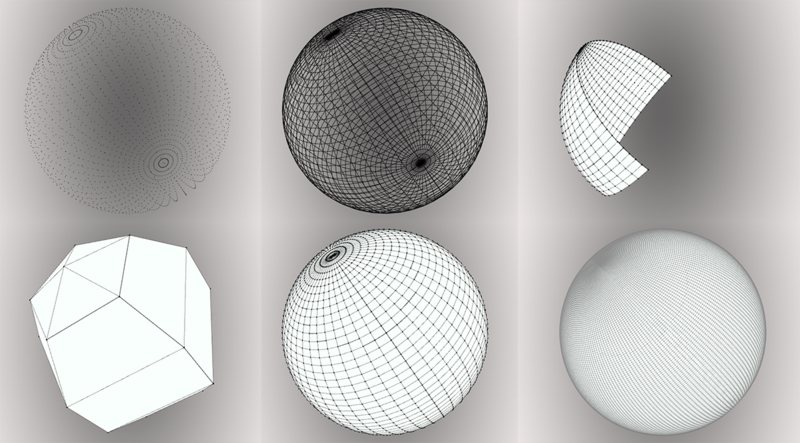 It is possible to render the sphere also in wireframe or in point mode. The sphere is created in "segments", the opening of the sphere determines the rotation of the segments around one of the two ends.The vertices are sent to the GPU using "immediate mode" GL_QUAD_STRIP: in later versions a VBO will be used, so to optimize the dialogue with the GPU. Vertex is performed in the vertex shader using a displace map as input. You can find a good GLSL example of this effect here. It is possible to vary the displacement factor, to increase or decrease the sphere extrusion. Normals values are recalculated based on the displacement by performing several sampling on the displacement map for each vertex, and calculating the x and y derivative using a Sobel filter. The noise is calculated using the GLSL noise3 function. It can be applied to the vertices position (vertex shader) as well as to the final color (pixel shader). If you are interested in a more complete version of the plugin or to develop plugins that are based on this one send me an email. h[Oz] (L'ange Carasuelo) developed a QC plugin for LEAP motion. In the video you can see that plugin used to play with iniSphere. 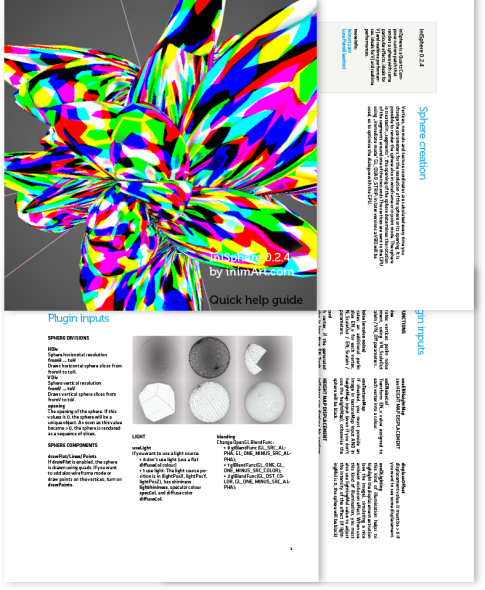 PrackVJ made a short iniSphere QC composition with a great minimal flavor. visiophone made another great minimal iniSphere composition made with audioreactive height map. 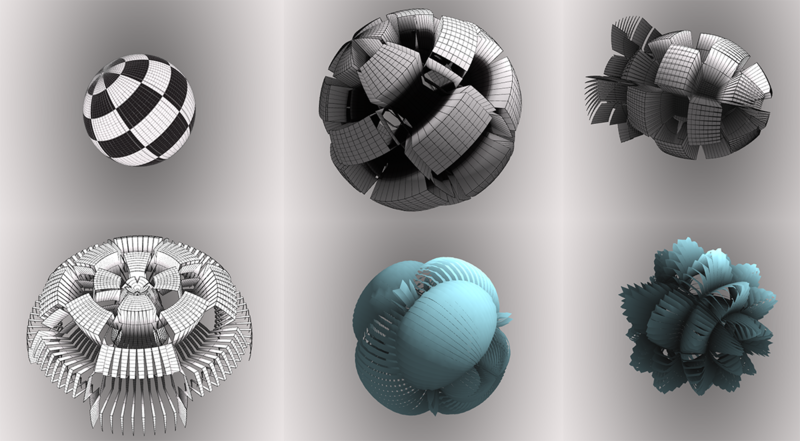 hipnosia uses good heightmap distortion and noise functions to move the sphere. Good music too!